Figi's® Sugarfree Chocolate Cherry Cordials. Confection perfection! 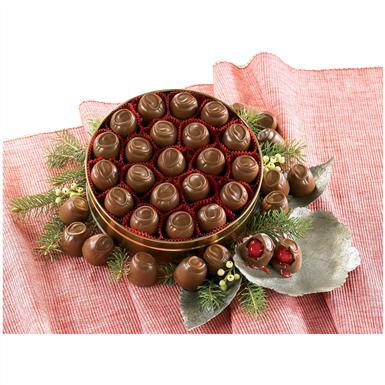 Plump, juicy cherries in rich and creamy centers, delicately coated in milk chocolate... and 100% sugar free! Contains maltitol, acesulfame potassium, sorbitol, sucralose and maltitol syrup. 10 ozs.